What makes me crazy is when a speaker makes a presentation that over-generalizes the information around what employers can’t do in a certain situation. That leads to a bunch of mythology in HR. That last one came from a client who attended an employment law conference here in Texas recently. A presenter apparently said that employers can only consider criminal convictions and not dismissals, which would include cases dismissed after the deferred adjudication probation was completed. So my client was steamed – at me! And why the h-e-double-hockey-sticks was Imperative including deferred adjudication records on his reports?! So I guess I just hate HR conferences when my clients attend them. I always want to know why. And usually, when I dig into an issue, the situation is more nuanced than a black-and-white “yes, you can” or “no, you can’t”. Seven states* limit employers to the consideration of criminal convictions only. Beyond those seven states, federal law, EEOC guidance (which even allows consideration of arrest records), and the other 43 states’ laws allow review of deferred adjudication cases. So what is deferred adjudication? It is basically a way to expedite a case through the overburdened criminal court system, slap the defendant on the wrist, and allow him to move on without a criminal conviction. 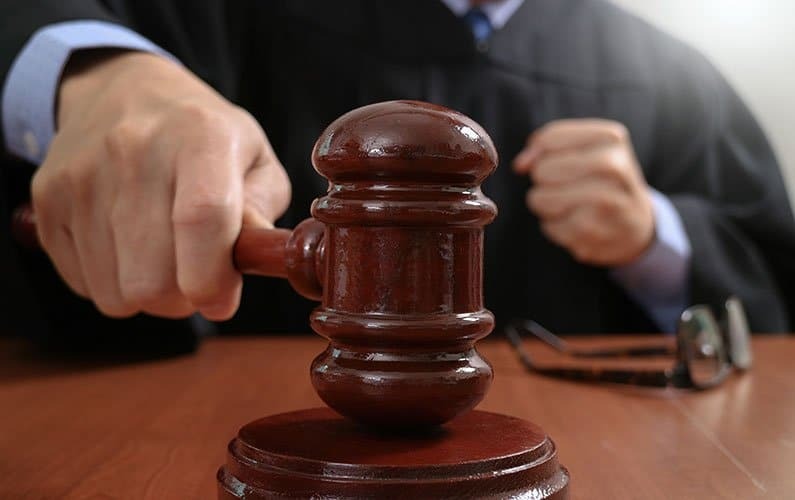 When a defendant enters into a deferred adjudication agreement, he pleads guilty or no contest (i.e., does not argue his innocence) to the offense and agrees to serve some sort of probation. Upon successful completion of probation, the case may be dismissed by the court. It is a dismissal – not a conviction. But because of the defendant’s plea and agreement to serve probation, it seems reasonable to believe that he engaged in the underlying conduct. Make hiring decisions based on applicants’ behavior (not just the outcome of the case) and what that behavior suggests about their fitness for the positions for which they’ve applied. After I explained all this to my client, he felt more confident about his process and past hiring decisions. Did the applicant disclose the deferred adjudication when asked? If he lied, then follow your policy for falsification of the application. Most of our clients would not hire someone who lied to them – regardless of the nature of the offense. Is the underlying conduct relevant to the job? What were the circumstances surrounding the offense? (Don’t take his word for it, though. Call us to retrieve case documents for verification.) Does his subsequent work record and the rest of his background shed any light on whether he is a continued risk? These kinds of questions are the reasons we offer free monthly webinars (register for the next one today). Some of our clients attend them religiously, but some just wait until they are in a panic and call me. Either way, I’m here for them. I’m here for you, too. What questions do you have about your background screening process? * California, Hawaii, Michigan (with regard to misdemeanors only), New York, Rhode Island, Washington, Wisconsin. The issue is that many defendants, particularly poorer folks who had a public defender in their case, may be advised to take the plea deal rather than going to a full-blown trial. This is to take the load off the public defenders, who often have a mountain of cases and get very little for each one. The problem now is– the person could be completely innocent, but feels compelled to take the deal. Further, many prosecutors bully for the deferred… they say things like, “This is your best deal, because if this goes to a jury, they may very well find you guilty and then you could end up with a harsher punishment… maybe even jail time.” Those are scary prospects for someone who has only once been through the system, and who doesn’t have much money or resources to prove innocence in a trial, and the Public Defender doesn’t want to deal with it. So, they take the deal and the deferred… not realizing that employers DO ask about those ,as well, and they view it the same as a conviction for the reasons you outlined. In many cases, the person is actually innocent, but they’re presumed by prospective employers to be guilty. Legally, there is no finding of guilt so it cannot be a conviction. The best protection for a candidate with a deferred adjudication is to see a lawyer about having the record sealed under non-disclosure. This isn’t quite the same as having the case expunged (erased). Non-disclosure shields the case from the view of the ordinary pre-employment background check and the general public. The case may still appear on a deep check by law enforcement or governmental agencies like the State Department or the FBI (if someone needs a security clearance or a higher than normal degree of checking). But the average employer BG check service wouldn’t be able to access the record. I know this because I’ve been through it.